Boyd: So we have medical coding courses that we talked about regarding what we have to offer people who are looking at getting involved with coding and whose talk about physician based medical coding course. Alicia: Well, that’s kind of the main full course that CCO offers. 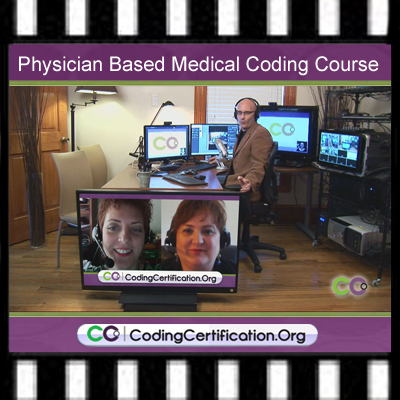 We have so many great medical coding courses, we have the Blitz program and everything but the physician-based medical coding course is the core, this is what you need under your belt to get started whether you are a new coder or you’ve been coding for a while because you want to pick up that credential and you maybe the best coder in your office and yet, you may not have the skills to take the test properly to pass that certification. We can help you with that and hone and find the guidelines that you need to go over, and just give you confidence. Boyd: How long does it take to get certified as a medical coder, Alicia? 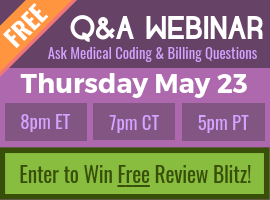 Alicia: I would say that our course, physician based coding course is standard format. Some people take a little bit longer and some people do it quicker than that. It is really based on your personal life. Are you working full time? Do you have children at home? What are your commitments? So standards with say, 4 months. Alicia: Right 4 to 6 better. Boyd: Want to talk a little bit about what happens to somebody doesn’t finish the medical coding course? We have some kind of special things that we do in Coding Certification and talk about that Laureen. Laureen: We really believe that we all given attention to finish the program but sometimes life interrupt and especially we know, I would say 75% of our enrolls are women and they trying to have a lot of possibility with family and running a household so they tend to push themselves to the back burner. That’s why we adopt a coaching concept. It’s rather that someone enrolling and the scenario is on page 4 okay good luck. We actually view ourselves like a coaches at a gym. And we’ll make sure that you are from your orientation and we record you to find out which your goal be. If you’re want to be done in form 1 just get the calendar out which take a pea and see what exam around that time and now we have the target, a course we can change it but if the target with your coach, then you’re kind of in it together then we worth at this point so that should be doing on your midterm and we back into that and the coach will teach basic if you ever heard in a week or two and never reach out use it. I remember those goals you set what can I do to help you. What’s going on and told you back, just put it back on the front burner for you. And that seems to work very well and our students will really appreciate that. They don’t feel like they’re just left to their own device and we really want them to cross at finish line. Boyd: Alicia, as the director of Education, you do a lot with the students, and you have anything to add there? Alicia: I think one of the other point is that we give you access to your content for a year we say 4 to 6 months 7 months out you don’t have to pay additional fee, you have that year so even after his gone to the course and say before you want to test you can go back and do a little practice at your coach is your coach for that year and we also offer a service, the practice exam if you going to go over something with your coach they will be willing to do that for you as well. Once we have a student we really don’t like to let go of them. Keep track of you as well as see how you do in the future with your career.